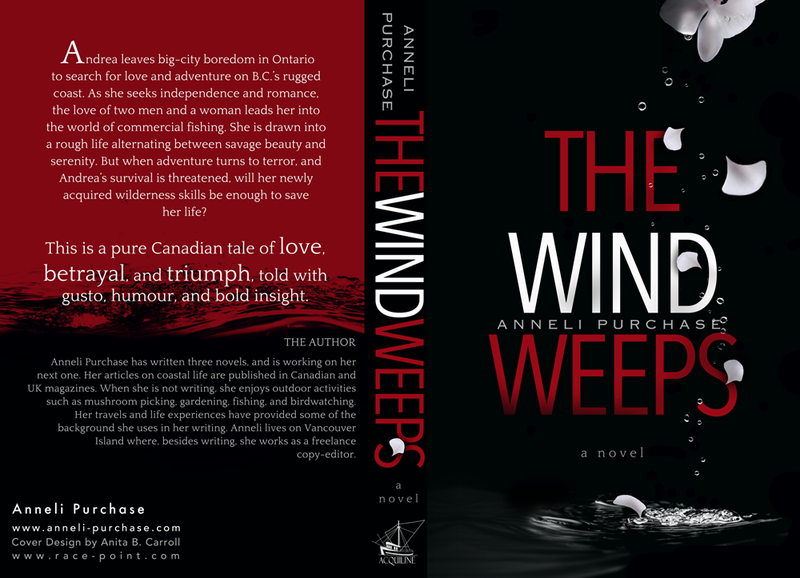 I’m using my blog today to proclaim the new cover for an excellent novel The Wind Weeps by Anneli Purchase. I reviewed this story when it was first published. It is a dramatic read with a sexually sophisticated ambiance. To my eyes, the repackage is fantastic. A novel as emotionally charged as this one needs a cover to reflect its contrasts and nuances. When fear and desperation threaten to sweep aside all gentleness and consideration the cover has a job of work to do. The new design conveys every element of this beautifully written story and for sure proclaims its worth. The brutal truth of Nature displays itself along the lonely coast as much as it does through the lives of handsome men and beautiful women. Set in the commercial fishing world of British Columbia, the depth of the story offers a range of choice for a cover. Anneli’s designer, Anita B. Carroll of http://race-point.com created a design that embodies the passion and emotion that simmer even within the cruel unforgiving sea. Remember the terror Julia Roberts felt in the movie Sleeping with the Enemy? That’s the kind of terror Andrea feels about her husband, Robert. But, in her case it isn’t so easy to escape him. He has taken her to live in a remote cabin on the coast, cut off from all communication. Andrea once loved orchids, but Robert has transmuted them into a symbol of his control over her. The orchid on the cover seems to be weeping. The blood red sky, the bleak churning sea add their abstract shadows. And yet Andrea is determined to survive and get back to the man she wishes she had married, the one who has never stopped loving her. For more than just a romance, why not click on the link to download The Wind Weeps. You won’t sleep until you finish it…. FIVE STARS: A really good story! We don’t always make the right choices. We always think we can change people but human nature is very complex. Set in an unforgiving landscape of fittest survival, the human is a fragile and troubled creature. This is a book where the writer clearly knows that small mistakes can hook you in the mouth like a salmon on a merciless steel line. The water is cold for any warm blooded stranger who falls in the struggle. Yet this is the true life for these characters on the fishing grounds of the North. No ice can freeze the heat of desire and no innocence of springtime can un-cry the tears of youthful regret. Set in an awesome savage beauty, the human spirit goes on through real and imagined kisses and wine to find a wider perspective. We are free because love imprisons us. I adored this book for its exploration of this dilemma set in the real lives of real folk. No highfalutin literati posturing but a hand on the winch, a knife in the hand and a pulse in the flesh mix in this story. The style is straightforward without gratuitous flourishes – a bit like ice and a loving kiss. A sexually sophisticated and tension packed story. A good good read! Anneli Purchase is an author and freelance copy-editor. She writes for the Loveahappyending Lifestyle Magazine, which she also helps to edit. 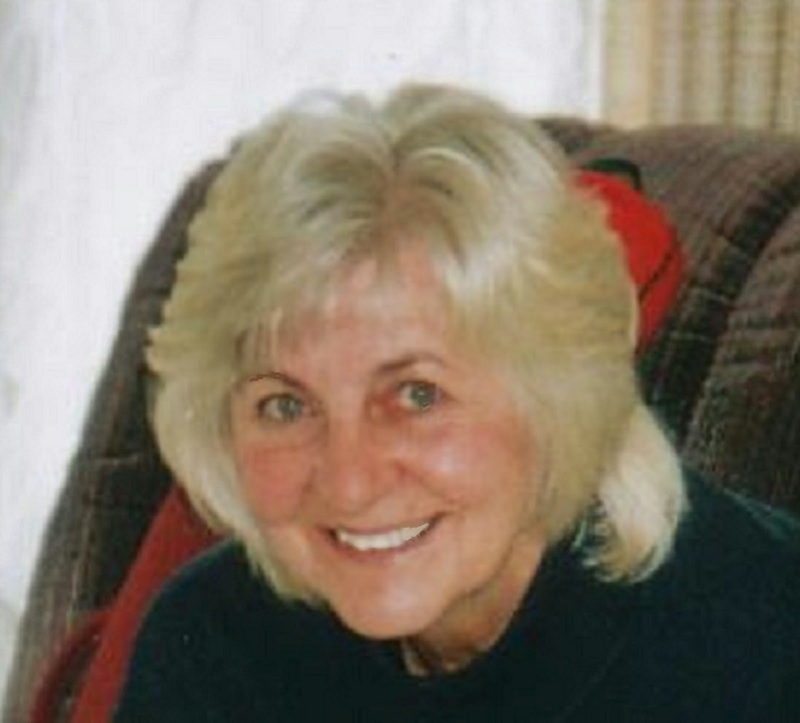 Anneli lives on her little acre of paradise on Vancouver Island with her husband and two spaniels. She has published three novels and is working on her fourth. This entry was posted in Anneli Purchase, BC, book cover, British Columbia, Canada, cover reveal, review, Suspense Roomance, The Wind Weeps by emmacalin. Bookmark the permalink. I have read “The Wind Weeps” and I have to say you are so correct, Emma. I couldn't put it down until I was done with it. The main character, Andrea, goes on a wild emotional roller coaster ride throughout the novel. The author's description of each locale was so vivid, I felt as though I was watching a movie. Each character was portrayed so beautifully, by the end of the story I felt a real connection with them. If you have not read this book, you just have to do so. Enjoy! The Wind Weeps is a gripping story and this new cover suits it perfectly. Congratulations to the author and cover designer. Nice review. I love the title, The wind weeps, and it sounds like an interesting read. Congratulations to Anneli Purchase. Enjoy your weekend!